Unsupervised Signal Processing: Channel Equalization and Source Separation provides a unified, systematic, and synthetic presentation of the theory of unsupervised signal processing. 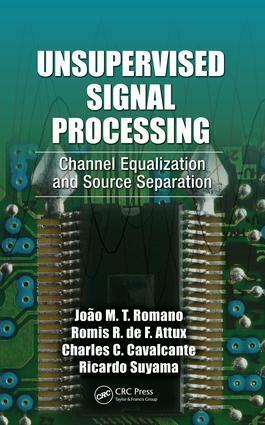 Always maintaining the focus on a signal processing-oriented approach, this book describes how the subject has evolved and assumed a wider scope that covers several topics, from well-established blind equalization and source separation methods to novel approaches based on machine learning and bio-inspired algorithms. Discusses some instigating connections between the filtering problem and computational intelligence approaches. Building on more than a decade of the authors’ work at DSPCom laboratory, this book applies a fresh conceptual treatment and mathematical formalism to important existing topics. The result is perhaps the first unified presentation of unsupervised signal processing techniques—one that addresses areas including digital filters, adaptive methods, and statistical signal processing. With its remarkable synthesis of the field, this book provides a new vision to stimulate progress and contribute to the advent of more useful, efficient, and friendly intelligent systems.